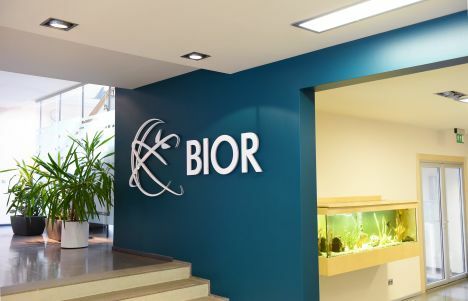 Corruption Prevention and Combating Bureau has asked the prosecutor’s office to commence prosecution of a Bior institute employees and two Lithuanian citizens for defrauding EUR 832,418 from the state budget using glass eel procurement, according to information from CPCB. In the info graphic released by CPCB, it is mentioned that the bureau has requested criminal prosecution against a public company employee. The bureau does not comment on the structure the suspect represents. However, available information states that the person worked in food safety, animal health and environment at scientific institute Bior. This institute answers to Agriculture Ministry. Bior does not comment this case. «Considering that CPCB statement does not mention Bior or any of Bior employees, we cannot confirm the case is related to us. If CPCB confirms this, we will release a statement,» said Bior public relations manager Irēna Bērziņa. The three suspects are asked to be prosecuted in accordance with a section of the Criminal Law on large scale fraud. The investigation revealed that in 2011 an employee of a public institution acquired information on a procurement project. The employee then found a company that could supply the goods requested in the procurement project. He then contacted the company and enquired about possible costs. The company is listed as ‘SZ’ in CPCB’s info graphic. A while later the employee of a Latvian institution and both Lithuanian citizens agreed to work together in a criminal group. The group then decided that one of the Lithuanian citizens would use a shell company to participate in the procurement with an excessively overpriced offer. SZ was attracted as a subsidiary. The employee convinced SZ representative to participate in the procurement together with the shell company of the Lithuanian citizen. CPCB also believes the three suspects controlled preparation of documents and their submission to the institute, as well as all other documents and money flow. The shell company and SZ signed an agreement on the supply of goods. Lithuanian citizen’s shell company received the tender and supplied the goods to the shell company. As a result, the three suspects defrauded EUR 219,737 from the state budget. The fraud also took place in relation to another procurement that took place in 2012. The three suspects planned to use the same scheme there, too. As a result, the three managed to defraud EUR 612,681 from the state budget. This is the main episode in the criminal process, which was launched several years ago for the procurement of glass eels for Bior. The case related to the glass eel procurement was separated from the main process by CPCB for the commencement of criminal prosecution in 2015.